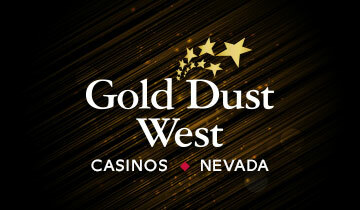 NEITHER GOLD DUST WEST NOR ANY THIRD PARTY CONTENT OR SERVICE PROVIDER PROVIDES ANY GUARANTEE AGAINST THE POSSIBILITY OF DELETION, MIS-DELIVERY OR FAILURE TO STORE COMMUNICATIONS, PERSONALIZED SETTINGS, OR OTHER DATA, AND GOLD DUST WEST EXPRESSLY DISCLAIMS ALL LIABILITY FOR ERRORS OR OMISSIONS IN, THE MISUSE OR MISINTERPRETATION OF, OR THE RELIANCE ON ANY INFORMATION CONTAINED IN THE MATERIALS. YOU ASSUME THE ENTIRE RISK AS TO THE USE OF THESE SITES AND THE MATERIALS. IN NO EVENT WILL THE LIABILITY OF GOLD DUST WEST TO YOU OR ANY THIRD PARTY EXCEED THE AMOUNT OF ANY FEES YOU HAVE PAID FOR ACCESS TO THESE SITES OR THE MATERIALS, IF ANY. Some states or jurisdictions do not allow the exclusion or limitation of incidental, consequential, or special damages, or the exclusion of implied warranties or limitations on how long an implied warranty may last, so the above limitations may not apply to you.